If you’re looking for inspiration, ideas or support, a great way to expand your machine knowledge is by joining a Facebook group, such as the NV950 Enthusiast Australia. Plus, you’re getting involved in a sewing and embroidery community where you can interact with others who have the exact same interests as you. Some users will get involved to share their projects, knowledge or project techniques, while others join to ask questions or post concerns they might have, which in turn is a very rewarding experience for all. If you haven’t yet considered joining a Facebook group or you would like to know more about what’s involved, here are a few questions we asked Ally, the NV950 Enthusiasts Group administrator. Can you tell our readers about yourself and your Facebook community page? I run mine and my husband’s small business whilst raising our two daughters (both under two and only 18 months apart! ), as well as a small sewing and embroidery business of my own. I was bitten by the sewing bug when I was given a beautiful Mama Bear handmade gift when my first daughter was born. 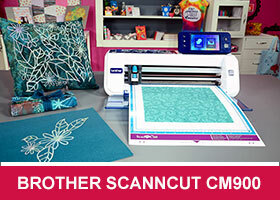 A lot of group members either have an NV950 or are simply looking at getting their first embroidery machine. They are interested in seeing if this machine will suit them and their requirements. Of course we have members with other machines with various makes and models that still give and benefit from the ideas shared, experiences with various sewing and embroidery products, as well as basic troubleshooting. There are even people who work in the embroidery business and are really helpful and generous with their time and knowledge. Others just enjoy making for friends and family, run their own market stall or sell online. 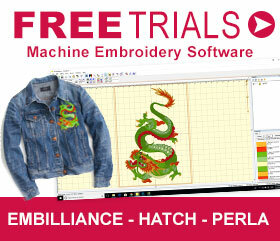 The majority of our members seem to be those who have just purchased their first embroidery machine. 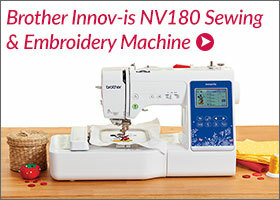 A few members have the NV950 specifically to embroidery garments such as the embroidery buddies, or simply because it’s so compact and they use it to take to classes or with them on holidays.